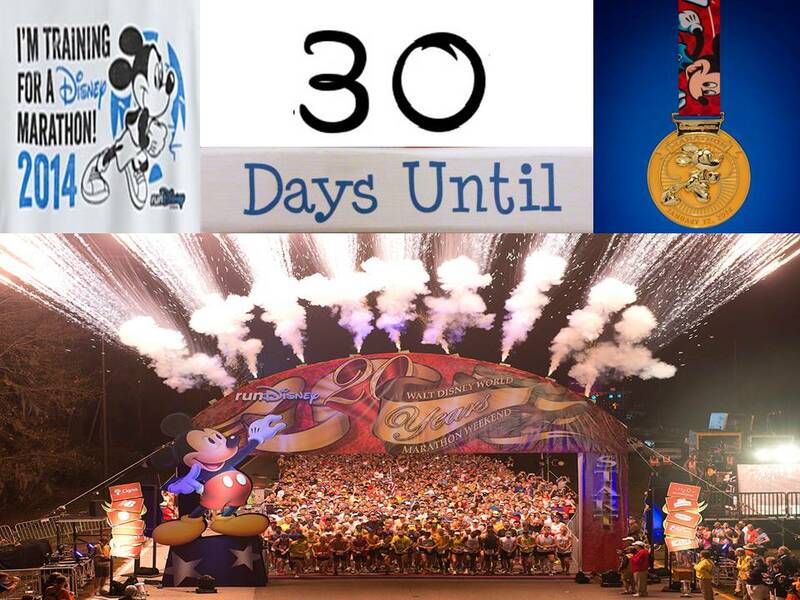 Yep…30 days from today, I will be waking up before the sun to go out and run my very first full marathon…oh and it will be at Walt Disney World! The gravity of 26.2 is pulling really hard on me right now. After a week of missed opportunity, this week has been much better. I had lots of excuses for missing last night’s 6 mile training run. However, the thought of 26.2 miles is what got me out the door. I know that weeks like last week just simply cannot happen again. I need to put miles into my legs because 26.2 miles is simply too far of a distance to not train. I’m excited, nervous, and still a little shocked that I’m attempting such a distance. However, time stands still for no one. Before I know it, I’ll be in Walt Disney World and on my first 26.2 mile journey. There has been quite a bit of chatter on social media from runners about their placements. 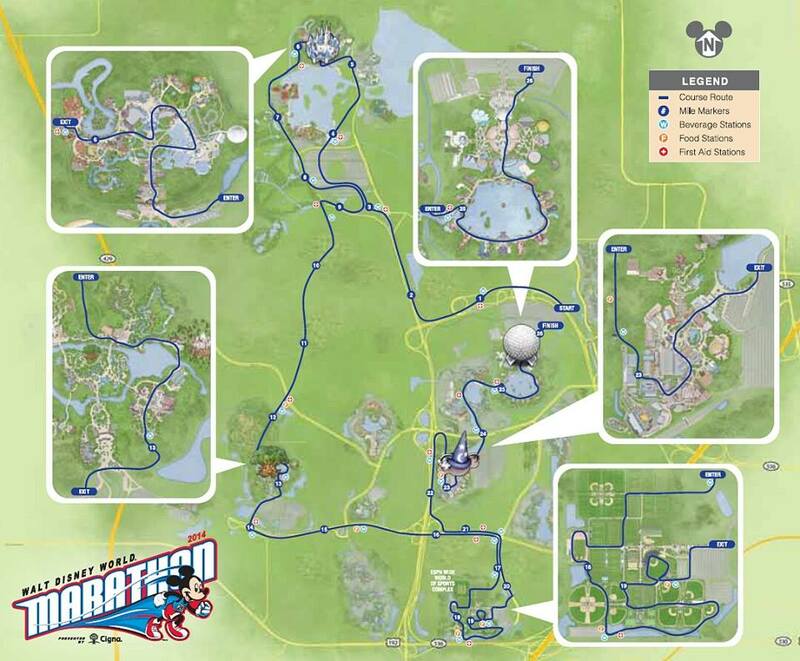 The folks at runDisney have made some changes to the way they are running their races starting in 2014. One of those changes is that they will no longer be making changes in your seeding at the Expo’s. In previous years, you could bring in proof of time to the Expo (if you missed the cutoff date) and they could adjust your corral placement. However, they will no longer be doing this. I talked about why my half marathon PR at the Rock n Roll Los Angeles Half Marathon mattered so much here. Even though, runDisney has not shown the times associated with their seedings, I believe that my Rock n Roll Los Angeles Half Marathon helped me move up. 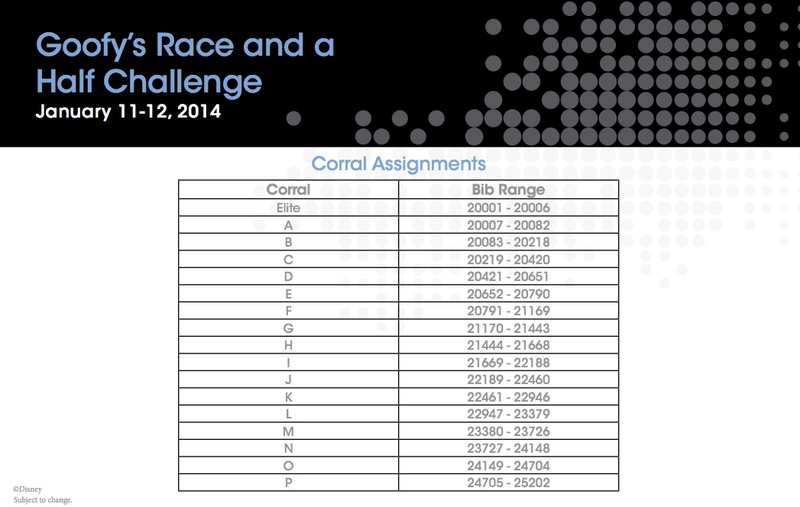 Another change to the runDisney races is that they have more corrals than in previous years. The expanded corrals actually began with the Tower of Terror 10 Miler in October, continuing with the Wine and Dine Half Marathon and seems to have worked out really well. However, with the expanded number of corrals, comes smaller corrals (a good thing) and will also push those used to starting in corral A back (confusing). The moving back in letters is what seems to have caused the most confusion. Karen at Run, Knit, Travel has posted a very detailed analysis of the seedings this year vs. last year on her blog today. Check it out here. There is also a feeling out there that the Dopey runners are being seeded lower than they should. Since runDisney didn’t include the time cutoffs for their corrals like they have in the past, it only adds to the confusion. One thing that is for sure is that those who are going to Walt Disney World in a few short weeks are talking up a storm on social media. If I were a faster, more experienced, runner, I think I’d be joining in the chorus of those that feel slighted. Hopefully, runDisney will find a way to make amends. 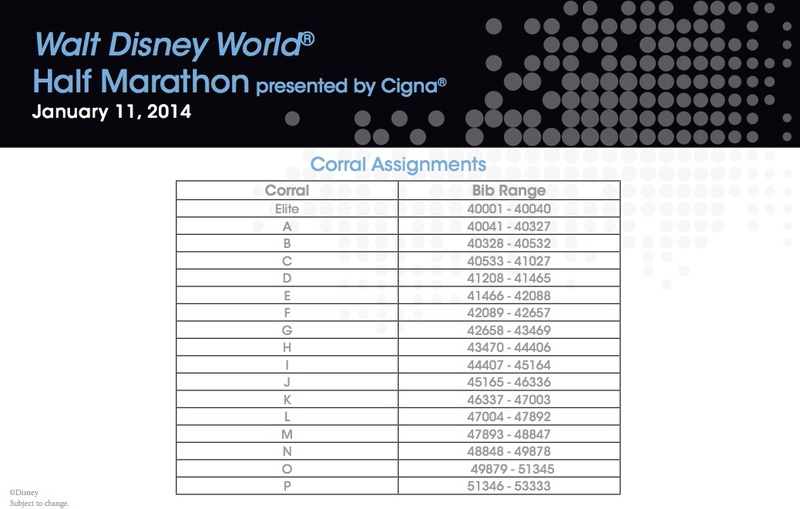 So, if you’re going to be apart of the races at the 2014 Walt Disney World Marathon weekend, how do you feel about your seeding? Is it a fair seeding? 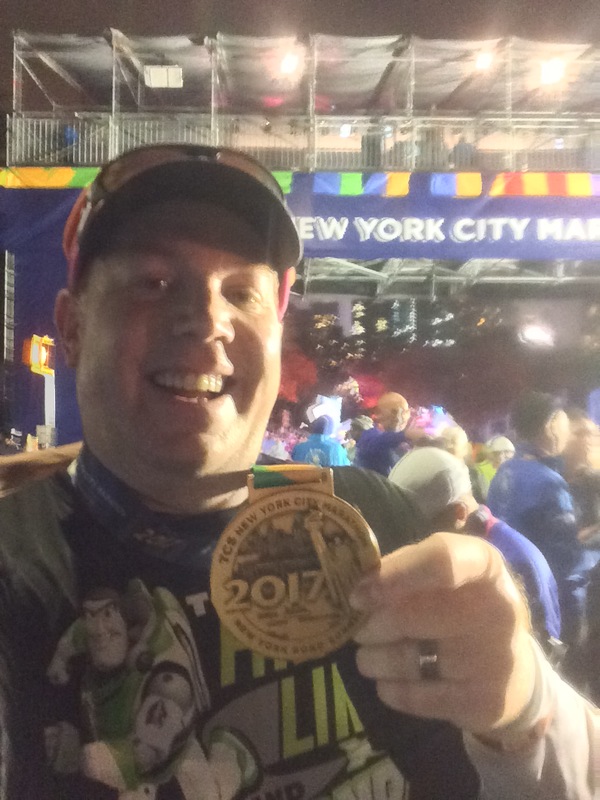 If not, what suggestions would you make to help runDisney improve? 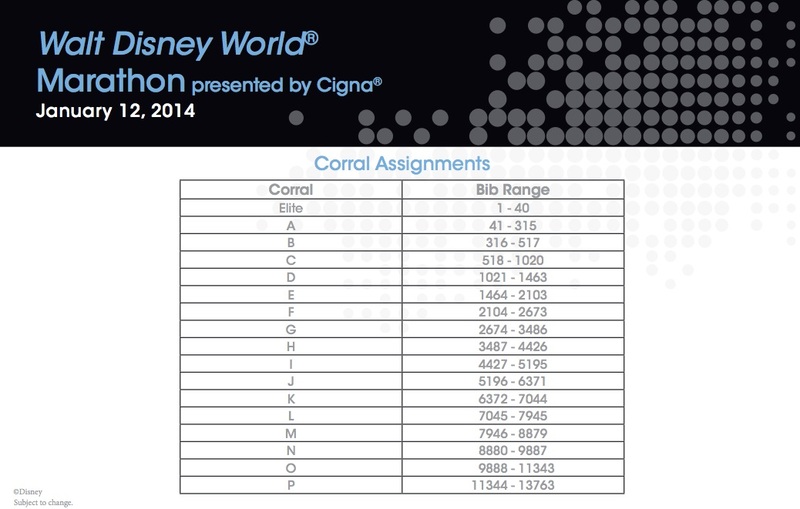 Overall, I think the corral changes are a good thing. In the past with only a few corrals there were 2,000+ people in one corral and it take a few minutes to move forward if you were in the back of the corral. I think the new way allows for smaller corrals quicker starts. I think I am equal to where I was last year. Reading all the comments on social media I think people are just hung up on being in the A corral and they are sad that they got pushed to the B or C. In reality, if they kept the corral sizes the same you’d be an A.I don’t see anything wrong with being in D, E, F, G, etc. I like running from behind gives me a chance to pass people (or be passed) LOL! Besides, the chip in your bib determines what your time is anyway 🙂 and just stay in front of the balloon ladies and your good! Thanks for the mention in your post today! This is the first time I saw all the maps. The 10K looks interesting. 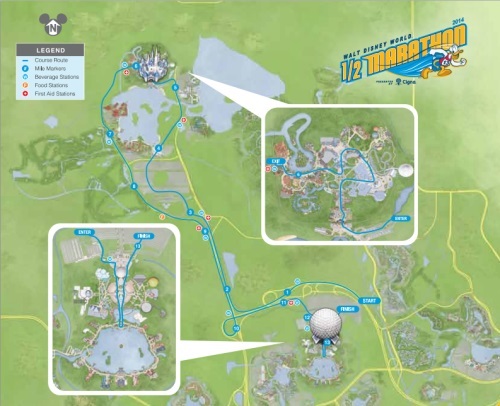 Wonder if characters will be out for miles 1-4? I do appreciate your attitude towards the new corrals. You seem to be pretty spot on in your assesment. Thank you for the time you put into your analysis. I always love it when others take such time so I don’t have to! 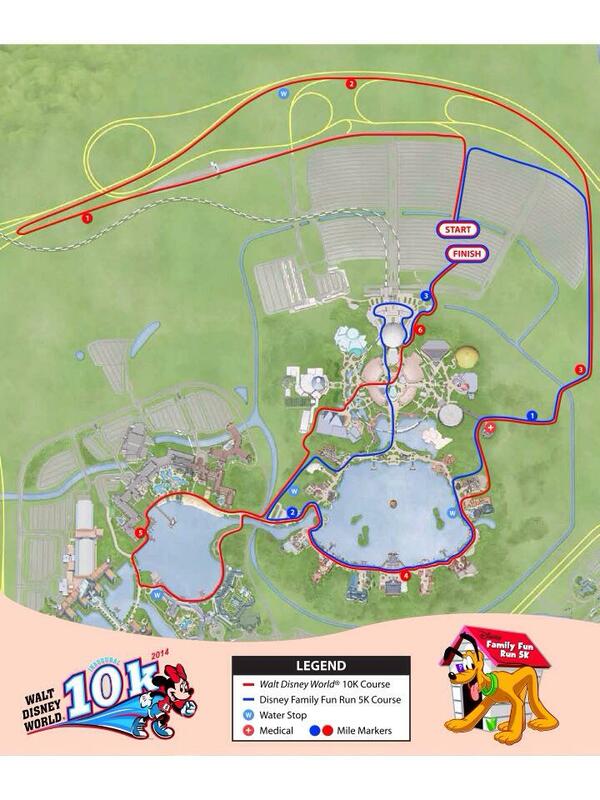 As for the 10K, I certainly hope they have characters out in the first 4 miles. Otherwise, it’s going to be a rather uninteresting race. There’s too much time spent outside of the theme parks. I’m sure that I’ll find a way to have fun either way. what I see so now i am following you. Look forward to checking out your web page again.